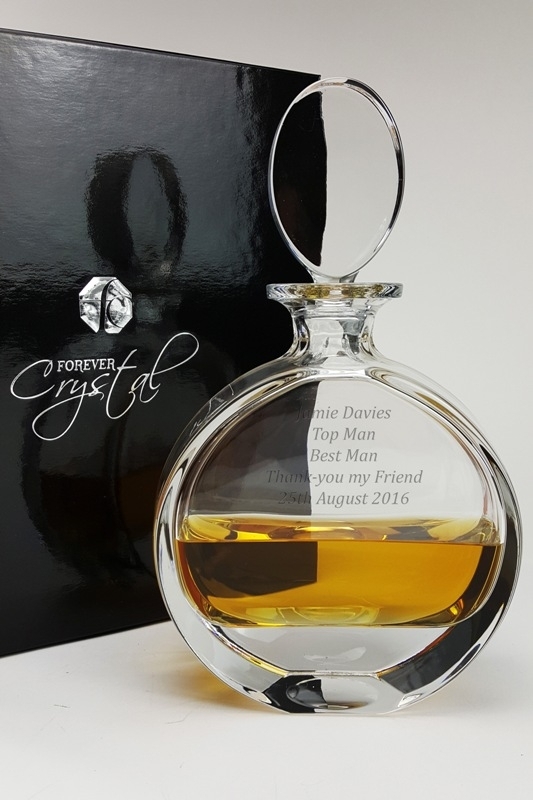 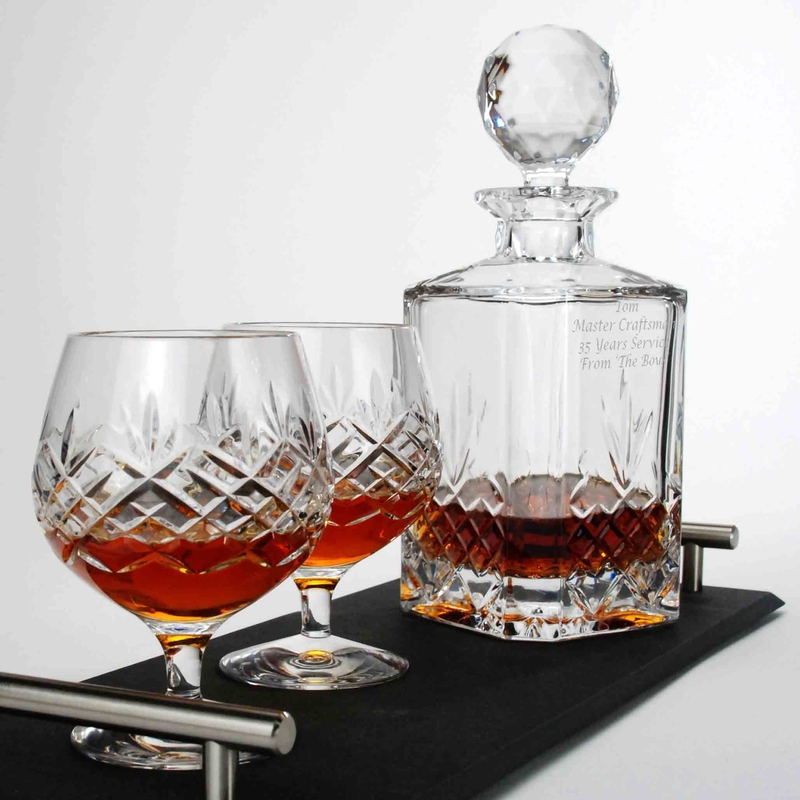 Forever Crystal is a specialist in the personalisation of glassware, offering a comprehensive selection of personalised decanters , engraved wine glasses, champagne flutes and whisky glasses. 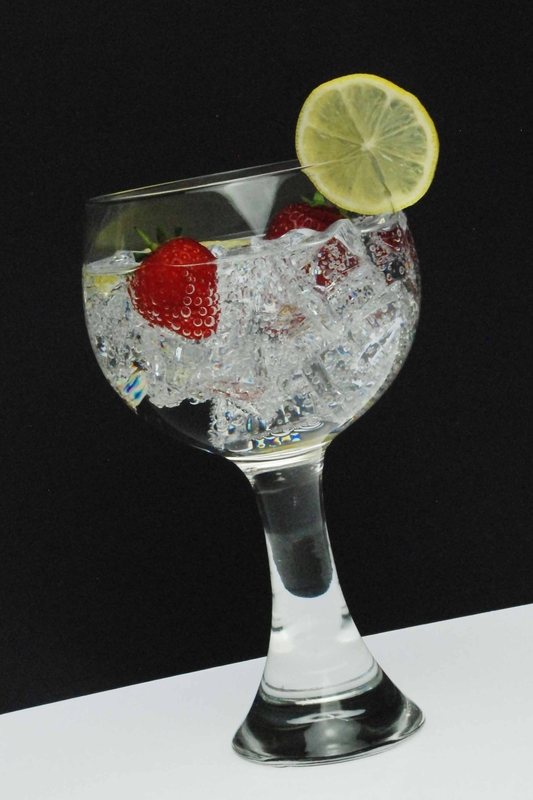 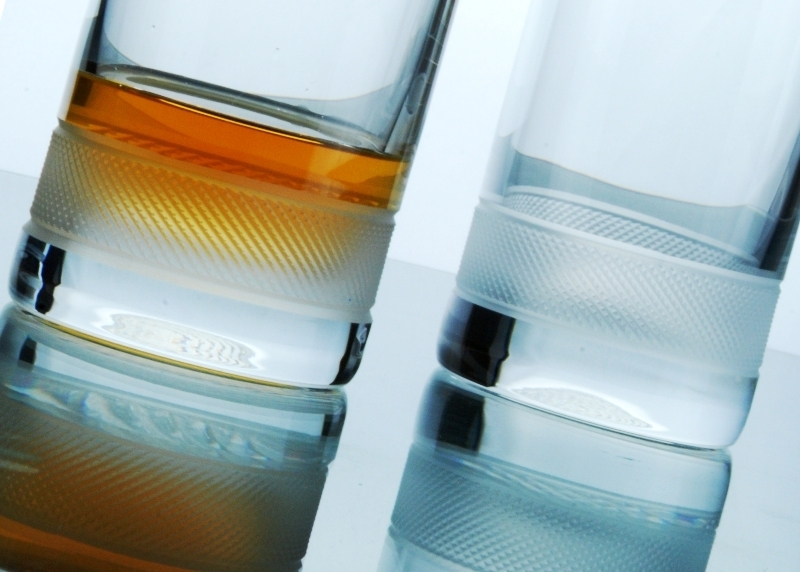 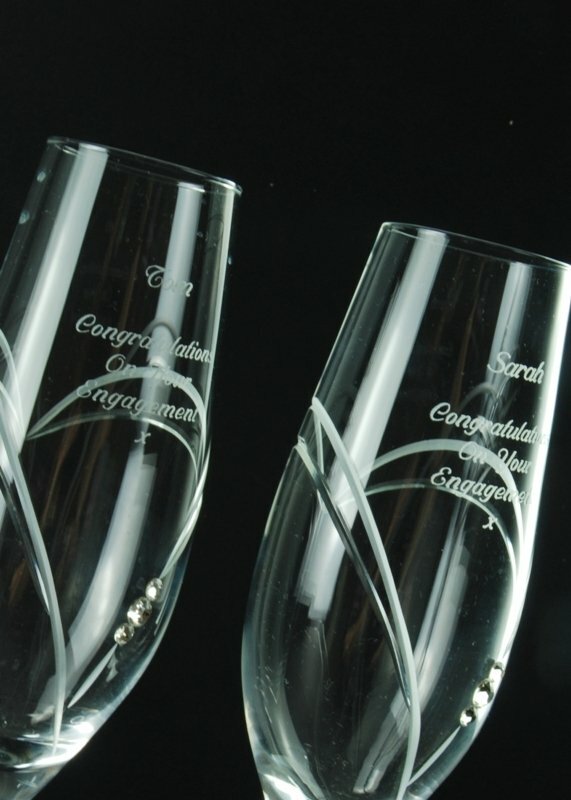 We're also rather good at fulfilling those last minute orders for personalised glasses with most engraved glassware despatched within 24 hours for next working day delivery. 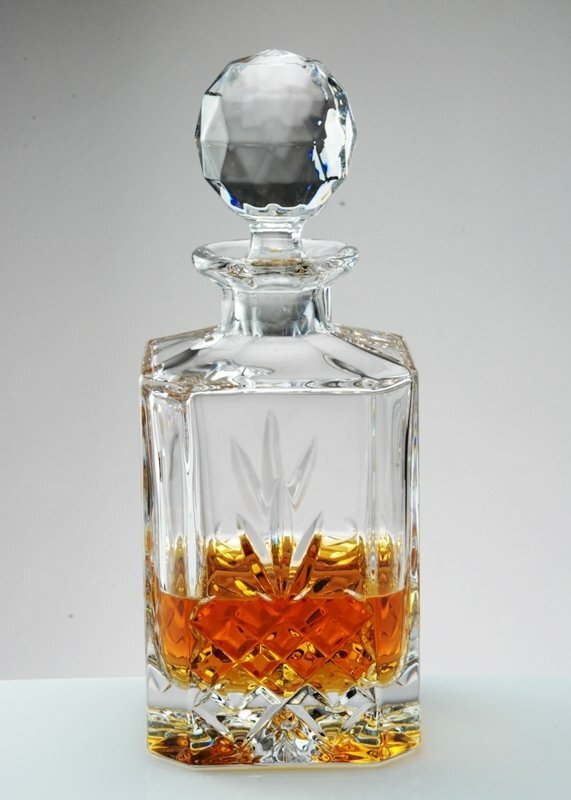 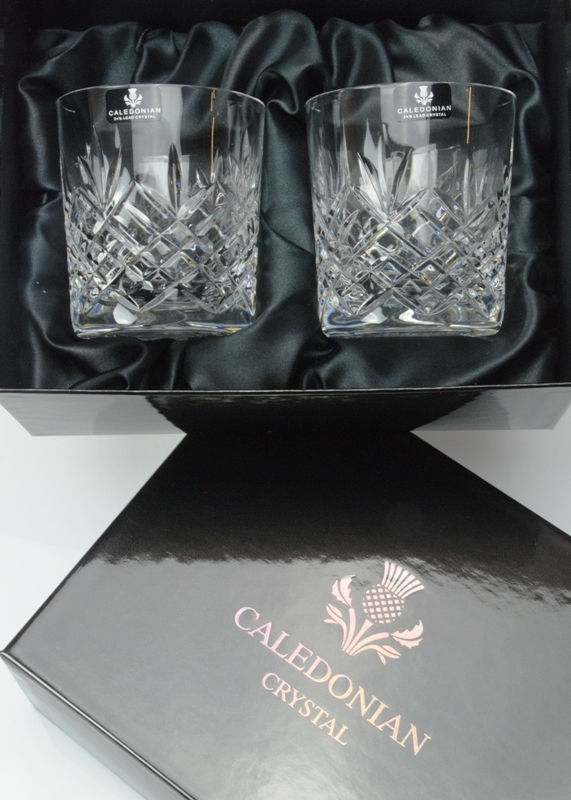 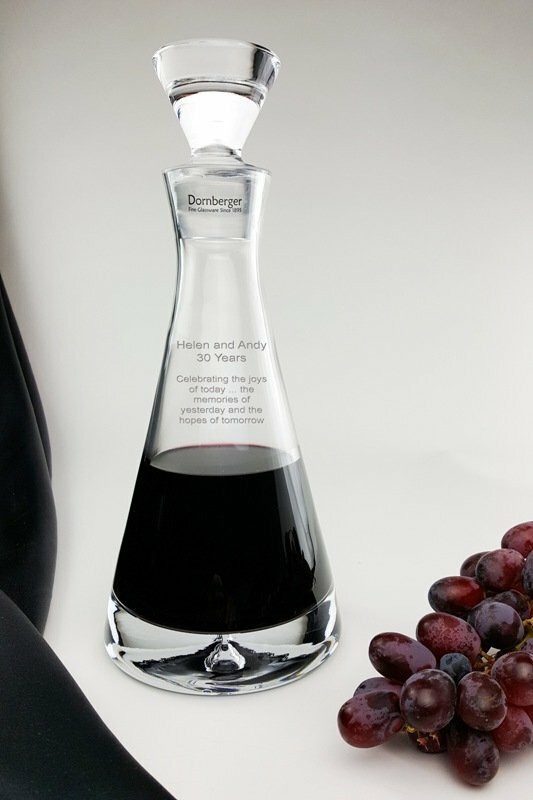 Our engraved decanters and personalised decanter sets are a great choice for a presentation such as a long service award or retirement gift. 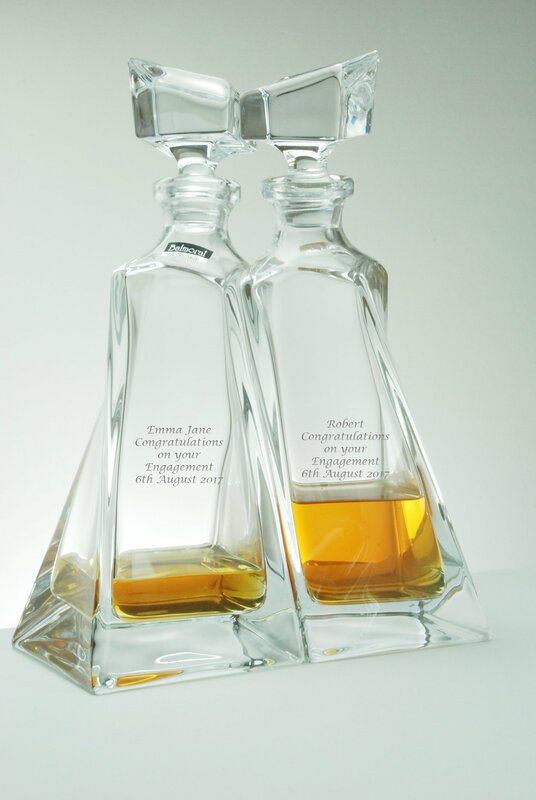 The engraved decanter becomes a treasured reminder of a workplace, colleagues and friends never to be forgotten. 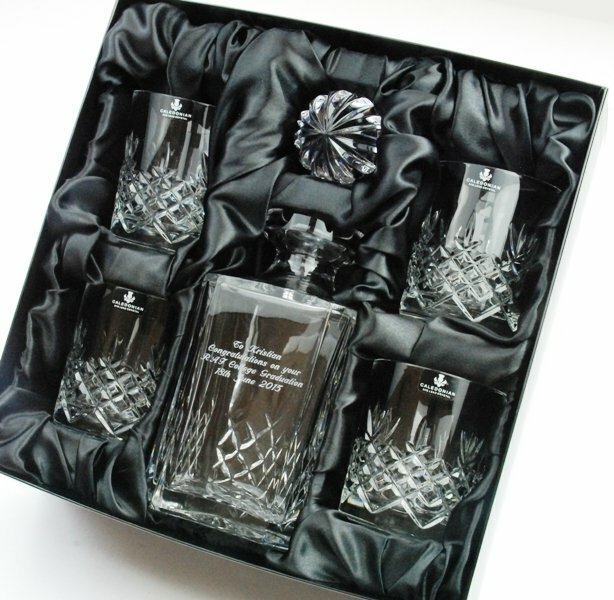 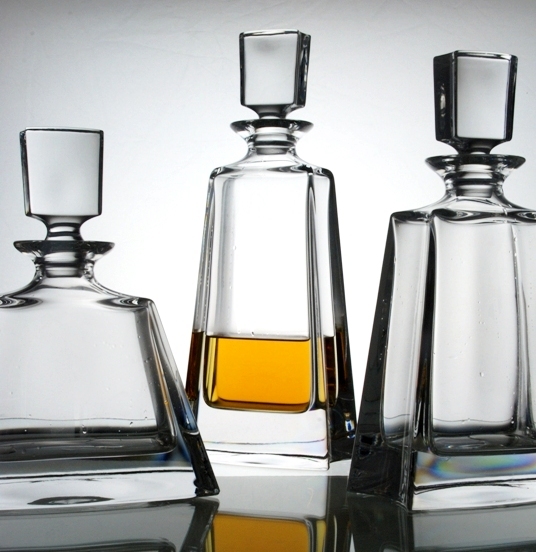 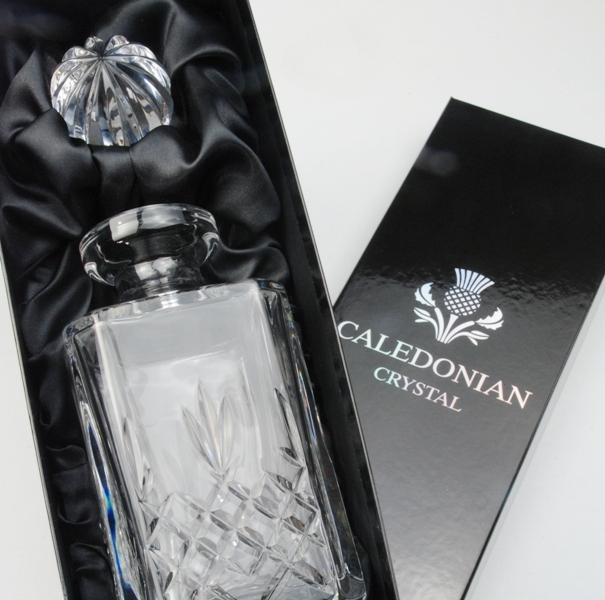 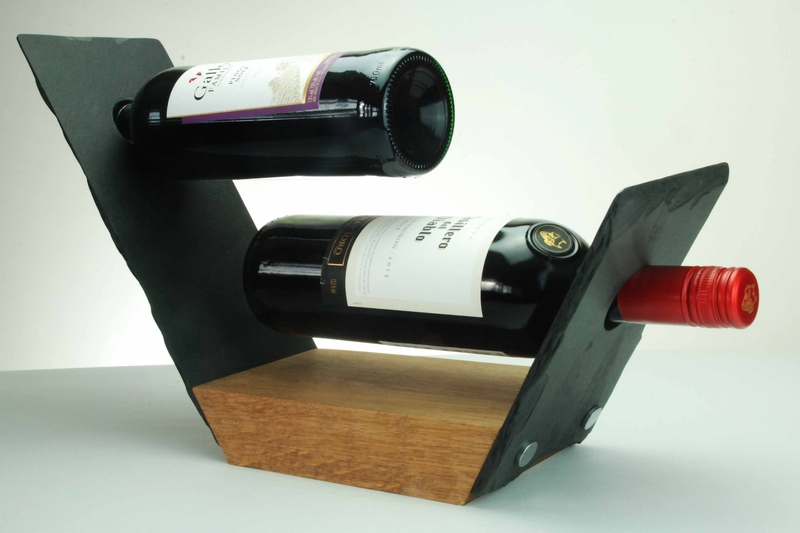 Both our decanters and decanter sets are supplied in luxury satin-lined presentation boxes, ready for giving. 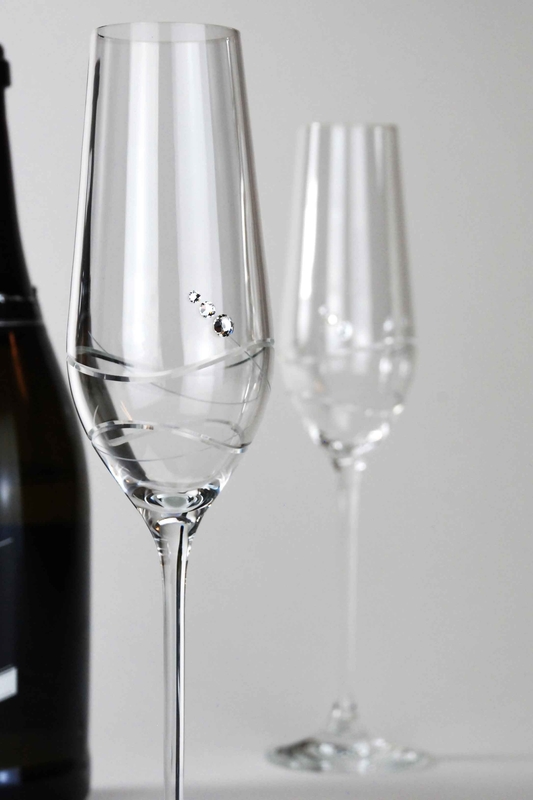 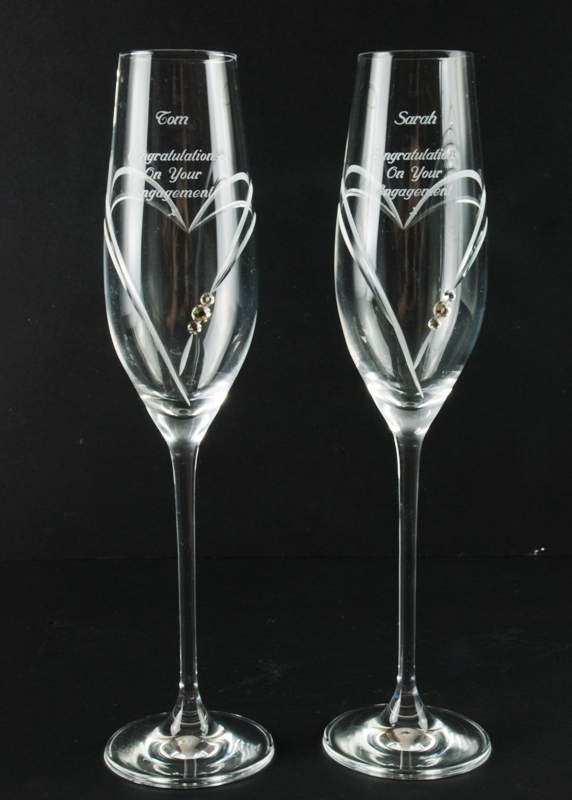 If you're seeking a birthday gift, wedding present or memento for the best man or bridesmaids, a set of personalised champagne flutes is the ideal choice. 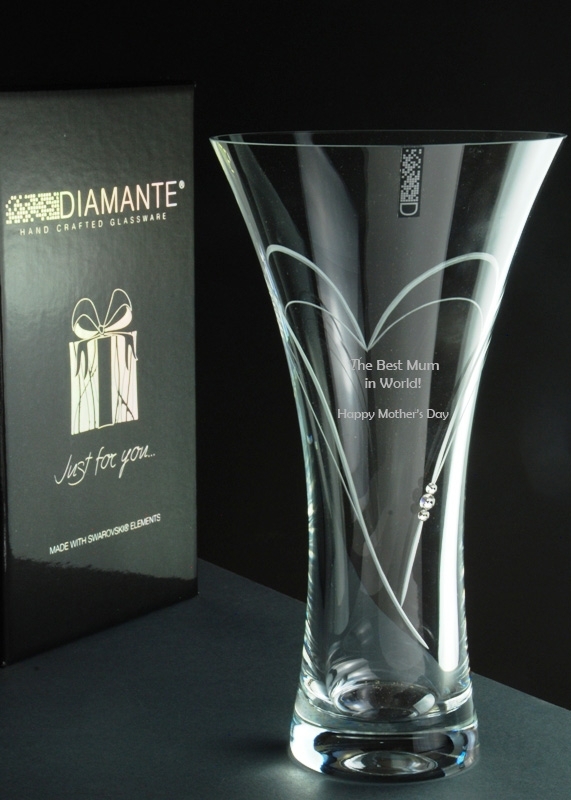 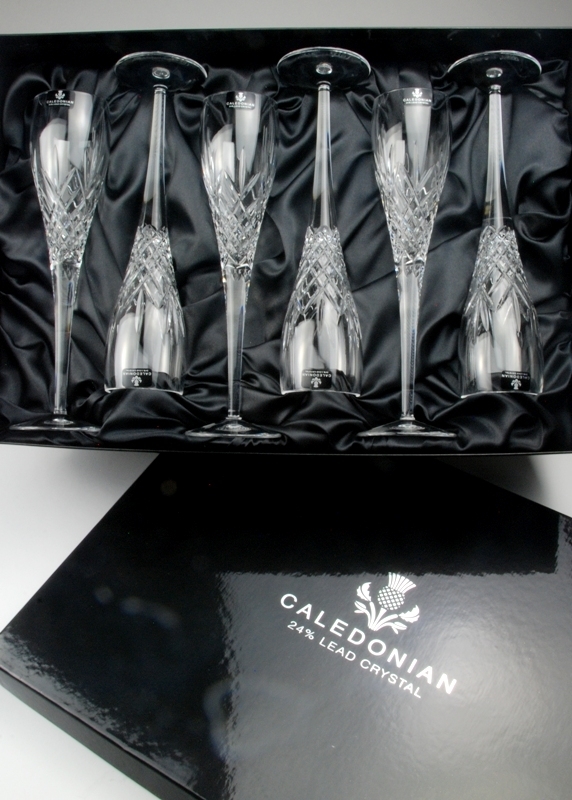 Our Diamante range of engraved champagne glasses offers several designs, all hand decorated with real Swarovski Elements and beautifully presented in satin-lined boxes. 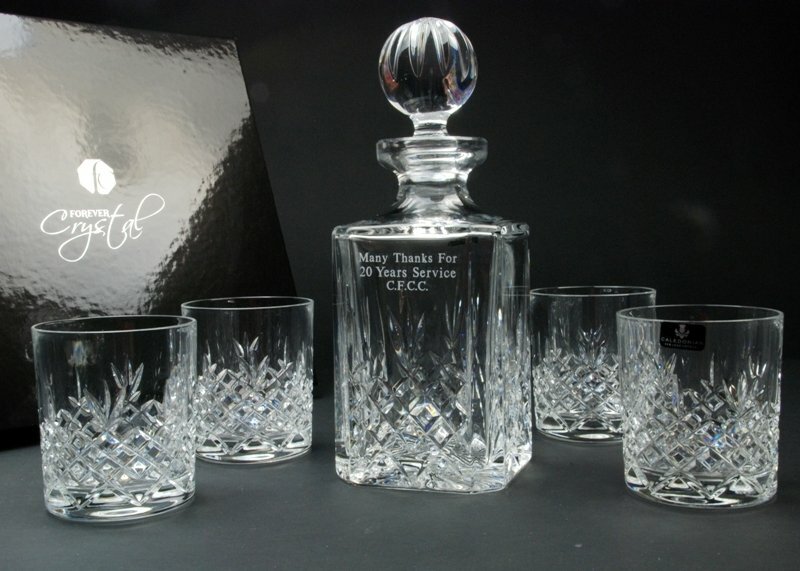 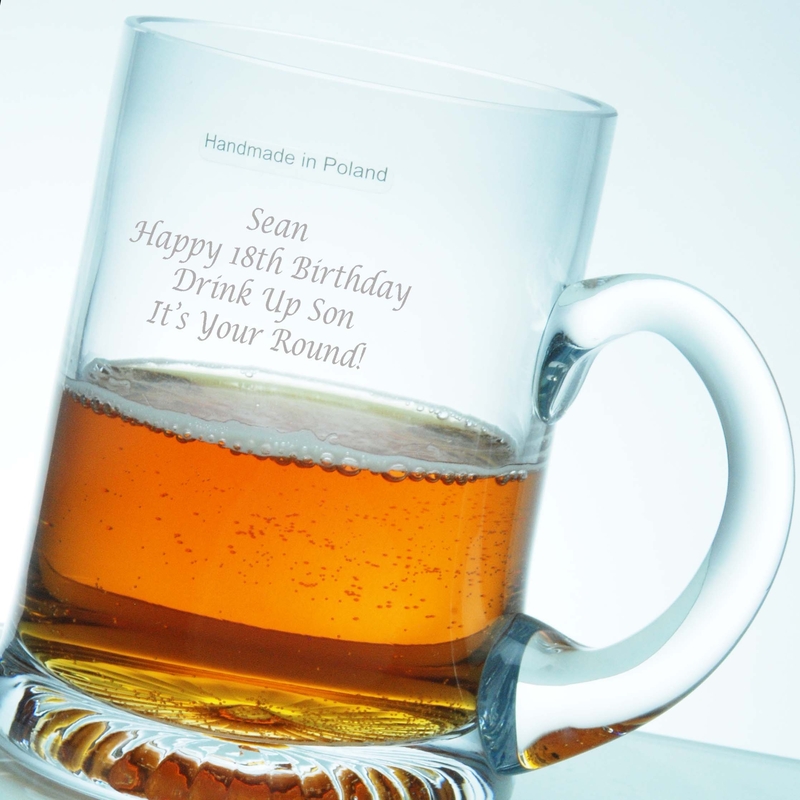 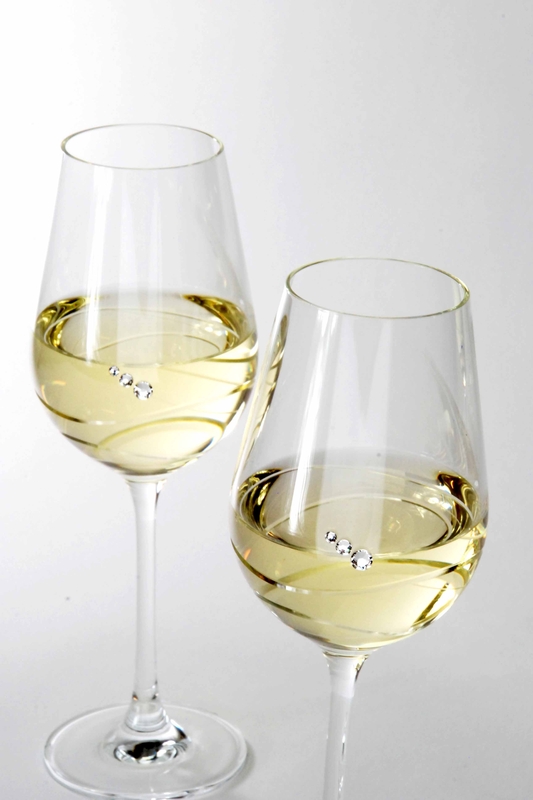 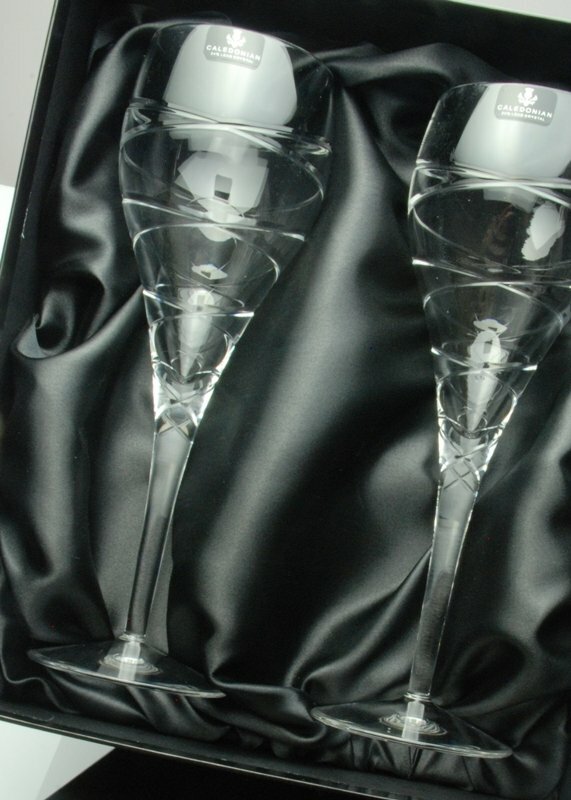 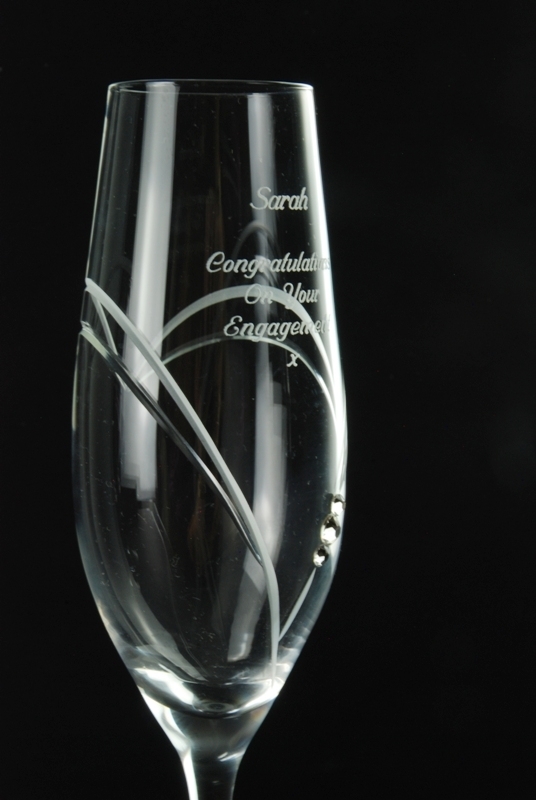 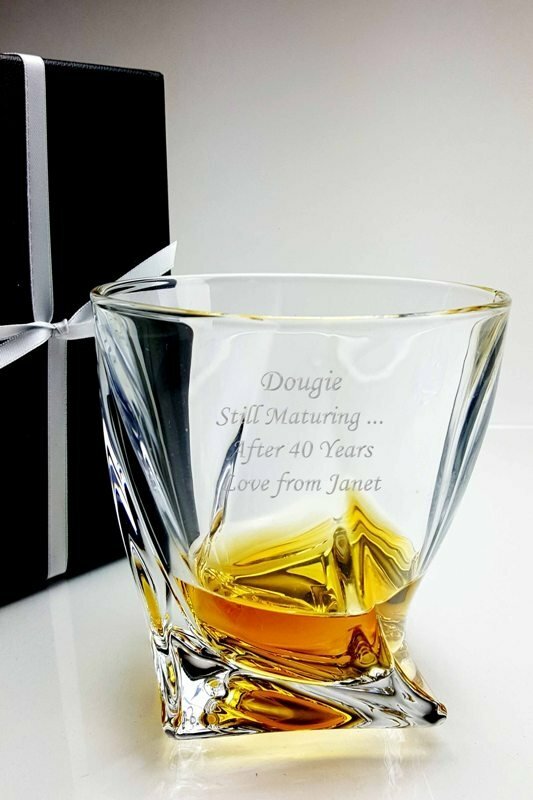 We don't only offer personalised glassware, at Forever Crystal we offer a personalised service too. 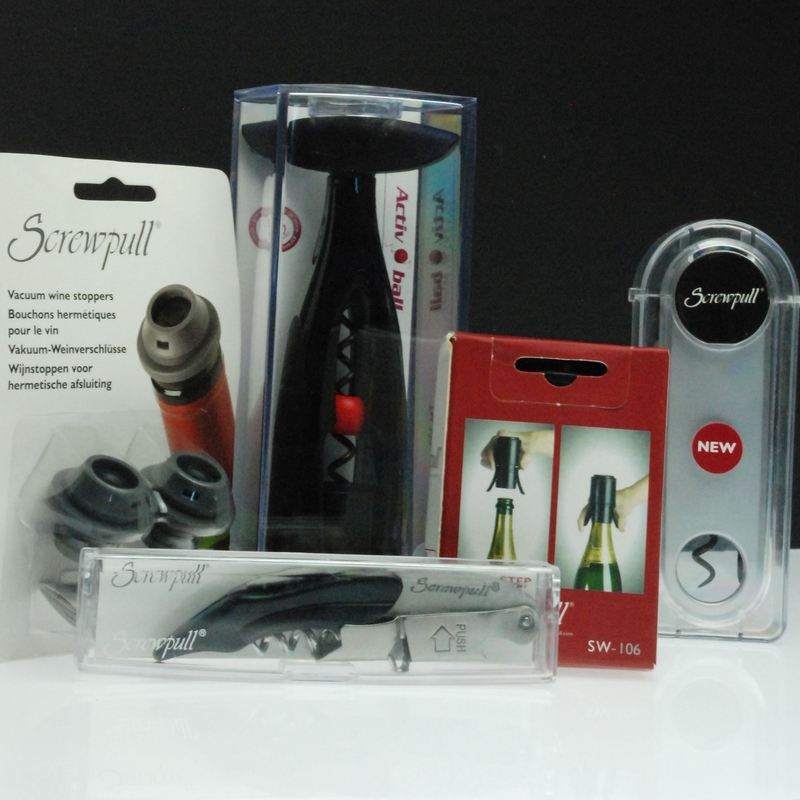 If you have a question, or prefer to speak to us before placing your order, we're here to help, just call us.